Consultancy Services are for those Channel Partners that know they have a problem to fix but do not necessarily have the knowledge, time or resource to rise to the challenge. We pride ourselves on employing Channel Experts. Nearly every one of our staff has come from the IT Channel and as a result, there is a very well rounded team of individuals that are in the perfect position to provide well informed advice. 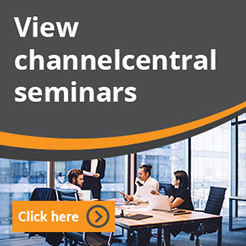 As a business, channelcentral has experience of developing Channel tools on behalf of the Manufacturers, Distributor and Resellers which adds to our breadth of knowledge with every encounter. 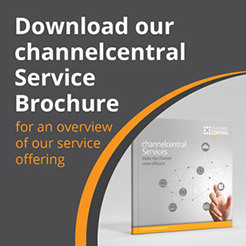 Unlike other providers, channelcentral is focused solely on the IT Channel which means our advice and solution recommendations are designed to make the perfect fit for each and every individual customer requirement, not simply a generic product approach that is used across multiple industries where only half of the solution may be applicable to you. WHAT CONSULTANCY/VALUE-ADD SERVICES DO CHANNELCENTRAL PROVIDE? If any of the above problems sound familiar, you should contact channelcentral for a no obligation conversation about how we could help. Our channel CPQ Experts will be able to indentify which solution is likely to be the right one for your Company. We offer a range of CPQ solutions, ranging from off-the-shelf SaaS products through to fully-customised solutions. WHAT ARE THE BENEFITS OF CONSULTANCY AND VALUE-ADD SERVICES? WHAT ARE THE BENEFITS OF BUYING CONSULTANCY/VALUE-ADD SERVICES FROM CHANNELCENTRAL? Contact us to speak with one of our Channel Experts for a no-obligation introduction to discuss your requirements.